Here’s a look at the tracks we’ve designed for the House Numbers to mount in. The real test for me is whether what we design is REALLY what I want on or in my house. These pass the test. I’ve mounted these on the retaining wall at our house, and love them. We’ve got a duplex property, so the arrows work out great. I’ve combined them with the single numbers to point to the houses. 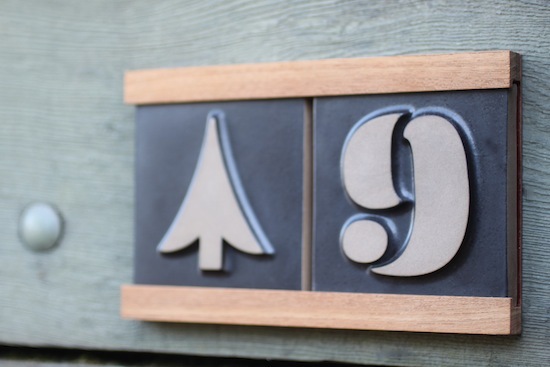 That is such a fantastic house number I’ve ever seen. Simple and very beautiful design. Very attractive.